Happy 242th Birthday US Army! When the American Revolution broke out, the rebellious colonies did not possess an army in the modern sense. Rather, the revolutionaries fielded an amateur force of colonial troops, cobbled together from various New England militia companies. They had no unified chain of command, and although Artemas Ward of Massachusetts exercised authority by informal agreement, officers from other colonies were not obligated to obey his orders. 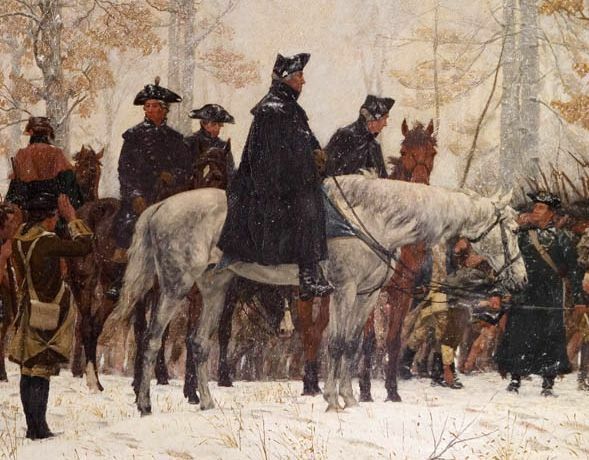 The American volunteers were led, equipped, armed, paid for, and supported by the colonies from which they were raised. In the spring of 1775, this “army” was about to confront British troops near Boston, Massachusetts. The revolutionaries had to re-organize their forces quickly if they were to stand a chance against Britain’s seasoned professionals. Recognizing the need to enlist the support of all of the American seaboard colonies, the Massachusetts Provincial Congress appealed to the Second Continental Congress in Philadelphia to assume authority for the New England army. Reportedly, at John Adams’ request, Congress voted to “adopt” the Boston troops on June 14, although there is no written record of this decision. Also on this day, Congress resolved to form a committee “to bring in a draft of rules and regulations for the government of the Army,” and voted $2,000,000 to support the forces around Boston, and those at New York City. Moreover, Congress authorized the formation of ten companies of expert riflemen from Pennsylvania, Maryland, and Virginia, which were directed to march to Boston to support the New England militia.